Drop in between 2 – 4 pm (2 hours). Room 706, Level 7, Social Sciences Building, 10 Symonds Street, University of Auckland City Campus. (This will be well-signposted on the day). The University of Auckland is opening up its teaching and research laboratory spaces for an afternoon during New Zealand Archaeology Week. Come and chat to our students and staff about the laboratory work we do as Archaeologists and Biological Anthropologists. 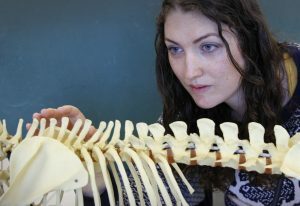 Check out our hominid evolution and archaeological teaching collections, and our students’ research. Ask us all those burning questions you’ve had about archaeology and bioanthropology! Entry to this event is free. Everyone is welcome to arrive and leave at any point between 2:00 pm and 4:00 pm and we can accommodate up to 50 people at a time.